While multi-instrumentalist Tyler Ramsey is an integral part of folk rockers Band of Horses, prior to joining the ensemble in 2007, the musician made a name for himself first as a solo artist. With a new album in tow, Ramsey is just about to remind us of this fact. Ramsey will drop The Valley Wind, his third album overall and first since 2007's A Long Dream About Swimming Across the Sea, on September 27 via Fat Possum. The tunes were written on and off the road over the course of the last year and were recorded at Nashville, TN studio Alex the Great. Band of Horses bandmate Bill Reynolds produced the set and added some bass to the recordings, while Floating Action member Seth Kauffman contributed guitar and drums. 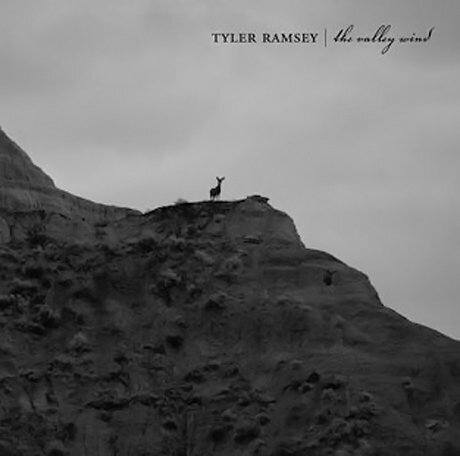 According to the press sheet, The Valley Wind is "a crystalline yet warm album, nine finely spun songs filled with Ramsey's rich, plaintive vocals and expressive, intricate guitar playing." Check out the tracklisting below and the cover above. Ramsey has a handful of dates scattered across the U.S. this October in support of the album, which you can check out here. 6. "Time Is A Changing Line"